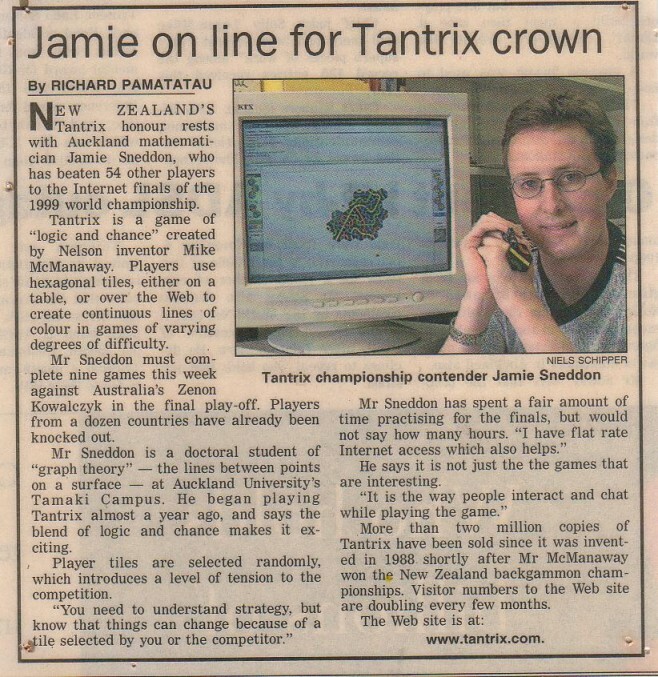 Tantrix has won numerous awards for both the multiplayer game and solitaire puzzles. 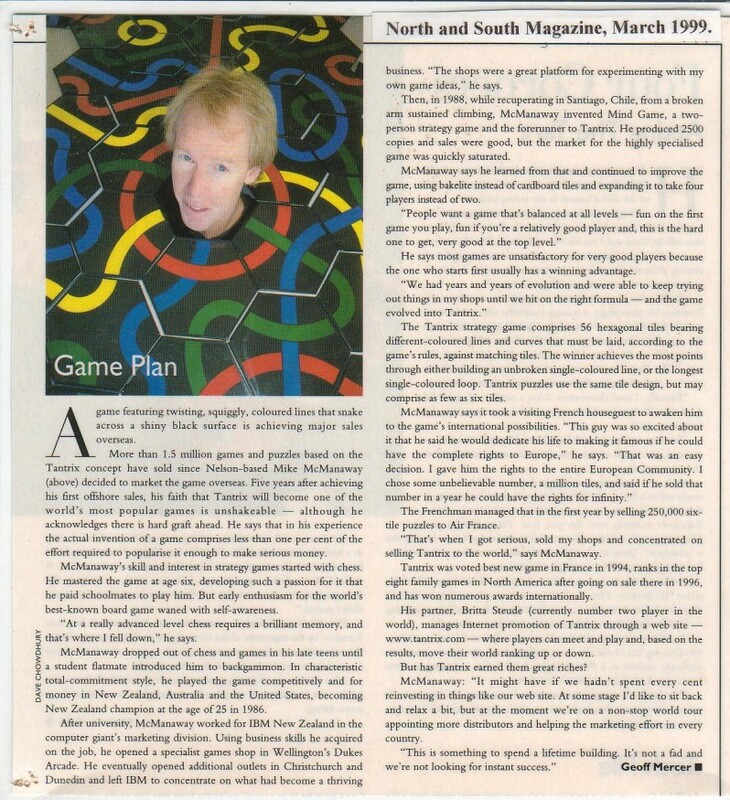 The game has gained international recognition for its creativity, educational value and simply that it's fun to play. The UK newspaper "The Independent" listed Tantrix 2nd in its "50 Most Creative Toys". The Paris Toy Fair voted it "Best New Game" and the Discovery was awarded "Puzzle of the Year" in Australia and "Toy of the Year" in Hungary. United Kingdom, NATLL, Good Toy "Gold Award"
You never know where or when Tantrix will appear next. Here are some clips from around the world. Here is a selection of newspaper articles and reviews in English. Click on the headline and a scan of the article will be opened in a separate window. To read articles of non-english publications, please visit the national site of your country. The geometry of the game also attracts scientific curiousity. Here are a few of the academic papers written about the mathemtics of Tantrix. 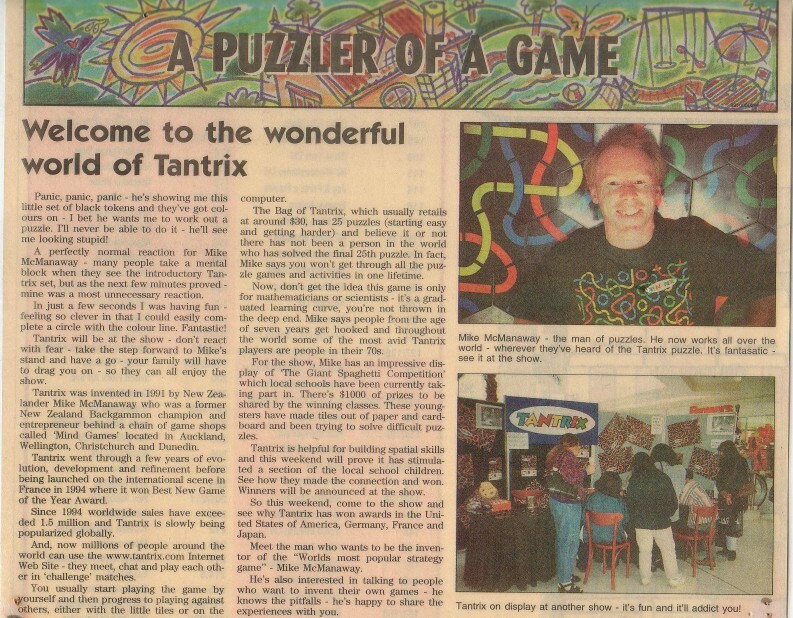 The complexity of the tiles themselves have led some players to come up with their own variations on Tantrix.